Are you SHEEP SHAPE? Here are special instructions, including a reprinted article and an instructional video, on preparing for your mountain hunt! My title may sound a little trite, since many people have used it since my original article by this name in Safari magazine in 1988. I really don’t mind people using the phrase without giving me due credit, but nevertheless I feel that it’s still my title and as far as I’m aware it’s also my term coinage. And thus it’s appropriate to use it again for this article. Things have truly changed since that initial get-in-shape article two decades ago. For one thing, I’m now 63 years old, and back in 1988 I referenced how hard it would be to get back “sheep shape” in my 40s if I ever got truly out of condition. How much more so in my 60s! Little did I know that my intensive training was no real protection against unexpected catastrophes like coronary artery disease, which leaped on me with full force at age 49, changing forever my medical practice, my training routine, my diet, and my personal medical regimen. I had two coronary angiograms, but fortunately I avoided stints and invasive surgery otherwise. I basically had to cut back drastically on my medical practice in order to have the best chance of staying alive and well, and I was advised strongly to reduce or eliminate other causes of stress in my life. 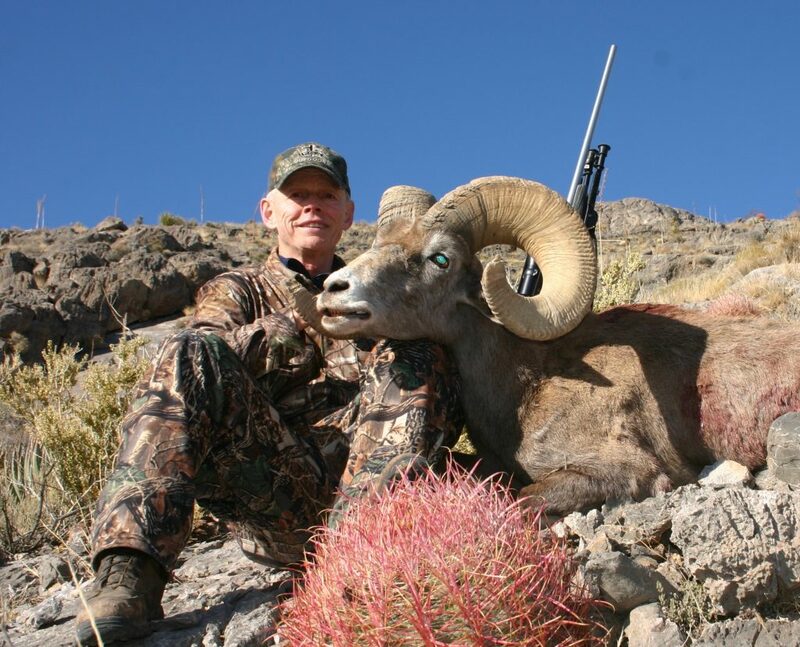 Nothing that happened to me, however, did a great deal to diminish my ability to hunt high mountain game. I’ve rigorously followed doctor’s orders and I think I’m perhaps in the best condition I’ve been in since my race running days thirty plus years ago. My coronary disease is significant but not unmanageable. My father died of an unexpected heart attack at age 50, my mother had coronary bypass surgery, my brother fifteen years younger than me had a stint placed for a 95% coronary blockage at age 45, so my family history suggests I’m a setup for similar problems. Instead of letting the situation defeat me, however, I’ve increased my exercise tolerance significantly as the years have gone by, and I’ve strictly kept my cholesterol, body weight, and all other physical parameters as well controlled as possible. I’ve never been troubled by high blood pressure, but if you have this condition, work with your doctor to get it regulated. If you have coronary artery disease, and even if you’ve had bypass surgery, you can still safely hunt mountain game if you follow a few rules, some of them a bit complicated but most quite simple. My first suggestion is to get under the care of a doctor who is interested in your total rehabilitation, not one who is only concerned with keeping you walking around with a cane and a vial of nitroglycerin. 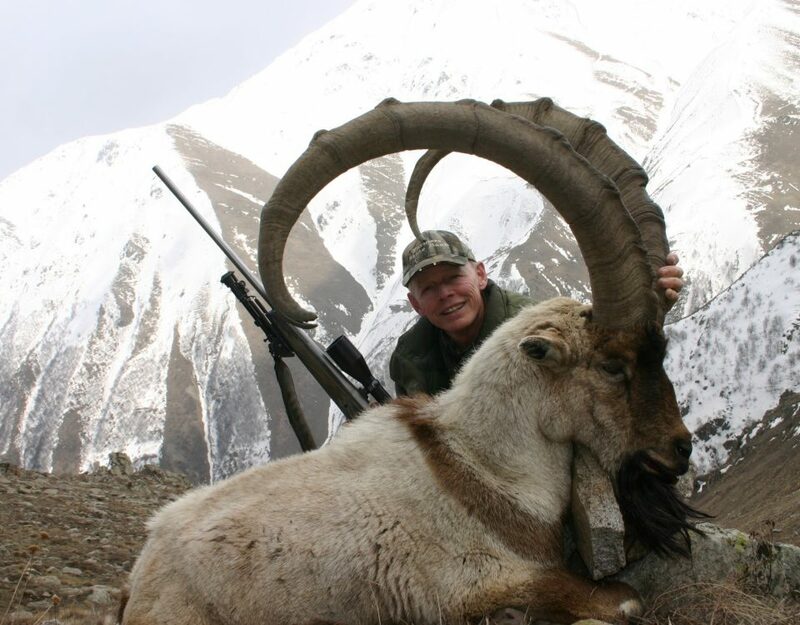 Once your doctor understands your objective (say, bighorn sheep in Montana or western tur in the Caucasus) and the rigors that involves, he can prescribe for you the right combination of medication, diet, stress reduction, and physical exercise that will let you accomplish your goal. If you’ve lost a really significant amount of your cardiac capacity (perhaps to the degree that you suffer from chronic congestive heart failure), it may not be possible for you to do the really difficult mountain hunts; short of this, it should be possible to some degree, and perhaps to an unlimited degree. If you have an undamaged heart muscle like mine, the possibilities are almost endless. A short medical treatise is all that’s necessary. Get your cholesterol under control with one of the “statin” drugs like Lipitor, Crestor, or Zocor. These medicines can infrequently damage the liver, but a simple test every few months will make certain this doesn’t happen. Your total cholesterol should ideally be in the 130 range, with the “good cholesterol,” known as high-density lipoprotein or HDL, in the range of 70 and the “bad cholesterol,” named low-density lipoprotein or LDL, as low as possible. Physical exercise definitely affects the levels of these chemicals, and the all-important ratio between them. There are many other factors regarding cholesterol that are beyond the scope of this article, so consult your doctor about how well you’re doing personally and how to improve your status. If you already have coronary or other vascular disease, also ask your doctor about thinning your blood, if that’s not being done already. Often a “baby” aspirin, or an adult variety that contains the same amount of aspirin (81 milligrams), may be all that’s necessary. I suffered occlusion of a small, almost insignificant retinal artery in my left (non-shooting) eye in 2007, so my doctor put me on Plavix, which prevents platelet clots, the likely cause of this event. If you need this medicine, it’s pretty benign except you’ll bruise more easily. In cases of severe coronary disease, leg or lung blood clots, or major artery disease elsewhere, your doctor may put you on warfarin sodium (brand name Coumadin), a powerful blood thinner that requires a blood test every couple of weeks to monitor its effect. Hopefully you aren’t in this severe category, but if you are it still isn’t impossible to do hard mountain hunts if you work with your doctor and have a sound exercise program. 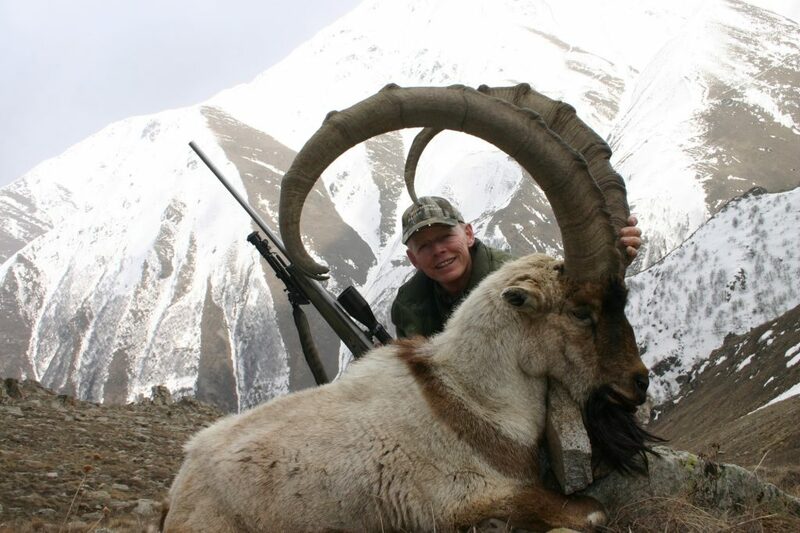 If you’re on medicine like Lanoxin for congestive heart failure, your chances of hunting high mountain game go down in proportion to the severity of your disease. If you’re overweight, you’ve simply got to get over it. You just can’t do difficult hunts if you’re carrying any significant extra weight. Extra weight is like a huge backpack you have to carry. Get on a sensible diet, with expert help if necessary, get down to your ideal weight, and stay there. If you don’t do this, nothing else I have to say will compensate for this deficiency. I’d add that the same goes for your smoking habit, if you have one. You’re killing yourself with either of these problems, and it’s very poor stewardship of your God-given body to abuse it in such a manner. Physical exercise has three components: Strength, cardiovascular, and flexibility. Experts will tell you that each is equally important. There was a time when I completely ignored upper body strength, feeling it was of little consequence. I also neglected to stretch thoroughly until various injuries began to plague me as I aged. Since I arrived at my current regimen some ten years ago, I have absolutely had no injury whatsoever that has prevented me from training at my usual level, or at an appropriately increasing level when there’s a hard hunt upcoming. As for cardiovascular exercise, I’ve been active in this regard since I began training to go to Vietnam. However, my personal regimen has changed drastically over the years. I was an avid runner until my early 50s, running five miles about four times a week. I also did a twice-weekly 30-minute routine on the “Stairmaster” during those days, something I totally disdain nowadays. I believe this combination of jogging and using this one-way machine led to early hip degeneration and hip bursitis. These days I’ve completely switched to using the Precor elliptical trainer as my exclusive cardiovascular exercise. I do 30 minutes on the elliptical trainer four times a week year-round, and I add minutes to this when I have a difficult hunt approaching. For example, with a high-altitude hunt in Nepal just days away, I’m now doing a full hour on the trainer. I mentioned that the “Stairmaster” is a one-way machine, which it is. You can only climb upward on this outfit. Any mountain hunter will tell you that coming down the mountain is often as hard, and often more difficult, than climbing up the mountain. That’s where the elliptical trainer comes in. I go forward for five minutes, then a backward motion for five minutes, though toward the end of the workout I do more of the climbing forward routine. I also do sideways forward to the right and left for 30 seconds or so intermittently during the workout, and I do likewise during the backwards portion. This quite effectively simulates every hunter’s nightmare, the long sidehill walk. I elevate the elliptical trainer to maximum for the entire workout (20 on the scale) and increase resistance to 12 or 13, depending on how I feel. Almost everyone holds onto the bar grip around the front of the machine, but I never touch it for any reason, even when switching from forward to backwards and vice versa, or when turning to do the 30-second sidehill exercise. You decrease the resistance proportionally when you hold onto the bar, and especially when you lean on it like so many people I see, to the point of reducing the effectiveness dramatically. Additionally, learning to use the elliptical trainer “no hands” is the best exercise I know to augment your balance. 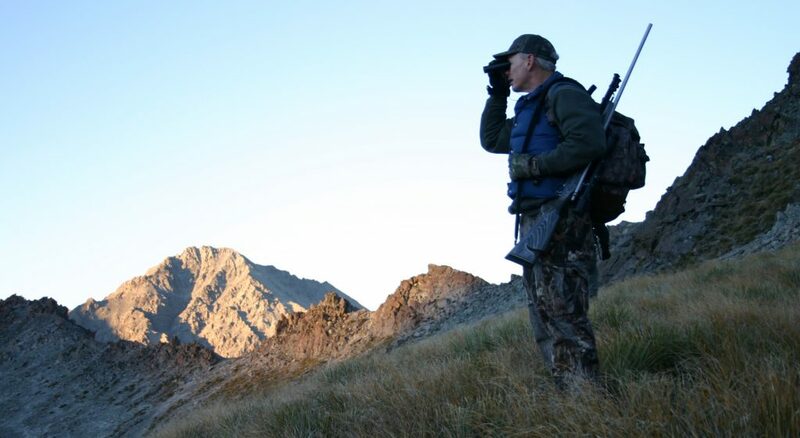 Remember, all high mountain hunts are in rough terrain that can move beneath you unexpectedly, so having the ability to adjust and feel comfortable on a moving machine puts you in much better shape to deal with actual mountain conditions. Many of my guides have complimented me on my balance in rough terrain, and I attribute this in great part to my elliptical “no-hands” training. I typically burn over seven hundred calories per hour and climb some five thousand vertical feet in that time. What about running? As a runner for more than thirty years, and a guy who has logged more than thirty-five thousand miles hoofing it, I can tell you one thing unequivocally: It may be great for youngsters training for the Olympics or the local road race, but it’s terrible as a lifelong exercise. I again cite my hip degeneration, which has progressed not at all, and hasn’t even bothered me, since I switched to my current regimen. A runner friend who hunted with me recently in Asia could hardly ride a horse because of hip problems, while I climbed aboard and rode indefinitely without any adverse symptoms, much like an old West cowboy. Bottom line: If you want to hunt into your 60s and 70s, give up the running and get on the machine! Now we come to strength. I always precede my elliptical trainer workout with a strength-building routine. I use Nautilus machines to thoroughly work my upper body, but I don’t use the leg machines, since the elliptical trainer does that part very well, and I fear an injury from using the leg machines. Strength training has served me well by strengthening a back that has been problematic in the past, and I can carry my gear (more often through airports than anywhere else) without suffering injury. I do the full gamut of upper body exercises, and on many hunts I find my upper body strength is highly effective at pulling me up that last bit of terrain or simply clearing some obstacle. I bench 200 pounds fifteen times, pretty good for a skinny guy in his 60s. It’s been a slow, tedious process, but it’s essential to overall fitness. Remember, you’re building strength, not muscle mass. You will put on eight or ten pounds of muscle, probably, but it’s not a drag on you because you’re so much stronger. Fat, on the other hand, is dead weight. Last is flexibility, which I take almost as seriously as my workout on the elliptical trainer. I do no stretching whatsoever prior to the strength building and elliptical trainer workouts. I immediately climb off the trainer and walk briskly for a quarter-mile or more, just to limber up any muscles that might be tight or overstressed. I then head for the stretching area, where I spend a minimum of twenty minutes going through a routine to stretch every muscle in my body to some degree, but with major concentration on the legs, hips, and back. Some people my age who have watched my stretching routine have commented that they weren’t that flexible when they were teenagers. I don’t take them seriously, but I do take it as an indication that being able to sit with legs flat on the floor and reach over my toes and grab the center of my foot is pretty impressive for a man my age. Most standard stretching charts have it exactly right, so follow the one in your own fitness center or gym. The problem most people encounter is that they simply don’t do it, or they don’t do it right. The key is gentle, firm pressure that is gradually increased over thirty seconds or more. Never bounce the muscles to stretch them, because this causes them to contract reflexively and may lead to injury. I may suffer an injury again someday, but I hope not. I try mightily to follow my own rules rigorously and so far my regimen is effective. I feel more at ease on a high mountain stalk than I ever did when I was primarily a runner. The reason is that my current program is much more designed to help me hunt harder, longer, and with more vigor. I believe it will help you, too, if you haven’t already settled into a workable routine. That’s my final point, too. The body is an individual creation, and every one is different. What works for me may not be such a good idea for you. If you can hire a personal trainer for a time and let them know what you’re trying to accomplish, they can individualize your program so it achieves the desired result. Just tell them you’re such-and-such an age and you want to hunt high mountain game. If you’re after mountain game, I must add that I recommend some kind of altitude training, especially if you live near sea level and you’re somewhat out of shape or over 50 years old. The best system I’ve seen is that offered by Hypoxico, Inc., of New York. In preparation for my hunt in Nepal, I’ve been sleeping in a low-oxygen tent from this company that simulates altitudes up to 12,000 feet and more. It also comes with a mask so you can do some additional training at simulated altitudes. It doesn’t take a hunt in the Himalayas to need some altitude training if you live near sea level. Many a hunt has been ruined by altitude sickness when it was conducted at nine to ten thousand feet in the American West. You can reach Hypoxico representative Matt Eckert at meckert@hypoxico.com, or call him at 888-666-6521, to discuss his system. I’ll have more information on the effectiveness of this equipment in another article when I return from Nepal. Hopefully, your trainer will help you design a good approach. If it isn’t working, try a different trainer. Could be your first one is an animal rights nut! J.Y. 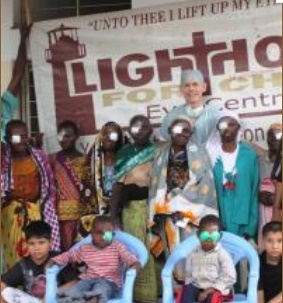 Jones is a practicing eye surgeon and a former military flight surgeon. He is the author of eight books and more than two hundred magazine articles. Are you SHEEP SHAPE? 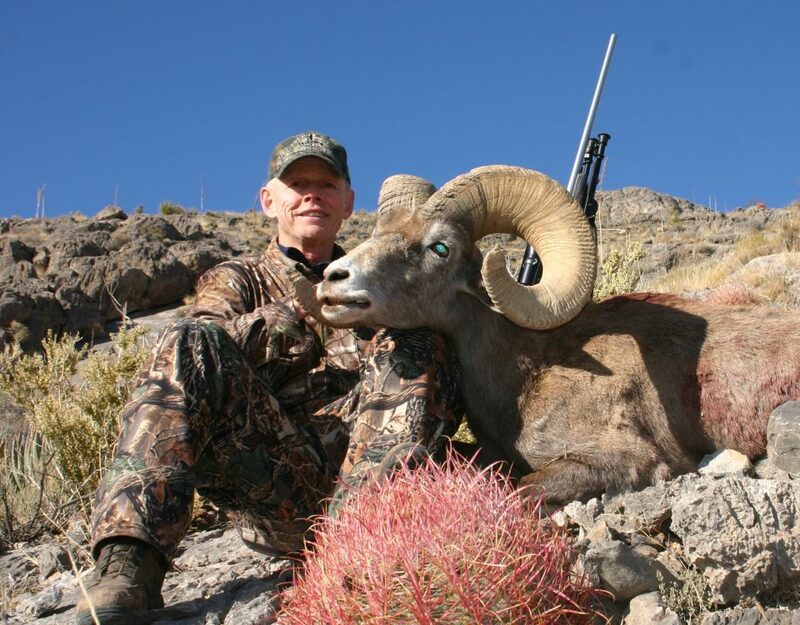 Click here for special instruction, including a video, from JY Jones on preparing for your sheep hunt!